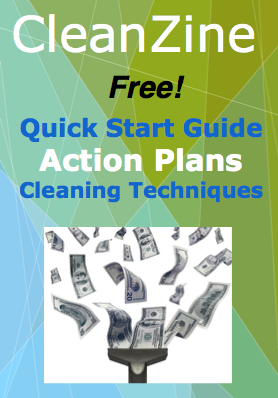 Many cleaning service professionals make this common mistake: put up a website and then proceed to do nothing with it! Getting your cleaning business website live on the Internet is just the beginning. Actively promote your business website each and every month. Get into the habit of doing this weekly and for the life of your business. We teach you how to do this through links, social sites, maps, partnerships and business listings. I know many cleaning professionals get frustrated with what appears to be a slow return with the website. It can seem like nothing is happening. I am intimately familiar with this phenomenon, which is why I'm writing this to let you know that it isn't what it seems. Here is the typical scenario. You get your website built, hopefully by us here at Suze & Ev. It goes live. You do a Google search for “house cleaning.” Why is it not #1? Well, you will never be #1 for house cleaning, nor should you want to be. Do not expect to be #1 on Google for any general search term within a few hours. That is simply not how it works. What you want to do is to be found on page #1 for a search term such as: 'house cleaning Honeoye Falls.” Now, this cleaning service is actually in Rochester, NY. The person who owns it wants to be found in the area known as Honeoye Falls, NY. He wants to work there because it is an upscale area that pays real well. This website would never be found for “cleaning business,” nor would that do any good. Because the people you want to find you are people who are located in the areas where you want to work. It does you no good to be found by someone in the UK when your cleaning business is in Rochester, NY. Why not try to get seen in Rochester? You should, but you are much more likely to dominate the search term “house cleaning Honeoye Falls.” What makes this approach so brilliant is that most everybody in Honeoye Falls is going to use that exact search term when they search for a house cleaner. When we build you a cleaning business website with one of our cleaning business start up services we optimize the website for ten or more areas where you want to work. The more exclusive and unknown those towns, the better results you'll get. Further, if your cleaning service business is in Chicago, your chances of ranking high for Chicago is very unlikely unless you are willing pay thousands for an SEO firm, and even then there are no guarantees. But let's say you prefer working in the Lincoln Park area of Chicago. In that case, we would optimize your website to show up for the search term “house cleaning Lincoln Park” and improve your odds immensely. This approach achieves two things. It improves your odds of ranking high and it pre-qualifies the client for you. You are assured, without doing any extra work, that they live in area where the clients will pay what you want. This is a perfect example of systems-thinking on multiple levels. You will achieve another level of vetting by using words in a particular way to get the response you want once the client arrives at your business website. So at first it may seem like nothing is happening with your cleaning service website, but if you follow our system for promoting your website, over time you will begin to get significant leads from your efforts. We have clients that do nothing following the initial set-up period (one year), and yet receive up to 30% of their leads from their website. When you use our website-building service we optimize the website to perform well in the towns you want to work. We teach you how to rank at number one for those searches. With about ten hours of work on your part promoting your cleaning business website, you can get it to rank high for ten or more towns in your area. This will result in a significant flow of leads and will continue for as long as you rank. If you are starting a cleaning service business, you need a website, but not just any old website. In order to work well, it must be smart! Learn about getting our free cleaning business website design service with our cleaning business system.